The aftermath of Hurricanes Harvey, Irma, and Maria demonstrated the need to deliver critical, up-to-the-minute information to affected local listeners, in Spanish as well as English. That means listeners need to be able to access your station via smartphone. Is FM chip activation the solution? What other ways can Hispanic radio take a leadership role in a time of crisis? 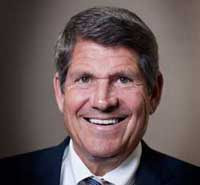 Emmis Communications founder and Chairman/CEO Jeff Smulyan, who has also been the leading chip advocate and launched the NextRadio app, will share his ideas and advice in an exclusive one-on-one discussion with RBR+TVBR Editor-in-Chief Adam R. Jacobson at the 2018 Hispanic Radio Conference. The conference will be presented March 13-14 at the Intercontinental at Doral in Miami. One of the most respected radio broadcasting executives in America, JeffSmulyan has led the charge for including FM chips in smartphones from the beginning. He will offer his perspective on where the industry is headed on radio’s accessibility via the ubiquitous devices. This exclusive interview is the latest agenda addition to a must-attend conference featuring debate and discussion from top thought leaders including SBS Audio Revenue Chief Eric Garcia, Skyview Networks Hispanic Network Audio Sales Manager Blanche Joesten, Entravision/Sacramento SVP/Integrated Marketing Solutions Angie Balderas, Fletcher, Heald & Hildreth co-managing partner Francisco Montero, radio station owner and GM Tomás Martinez, SBS EVP/Programming & Multiplatform Coordinator Jesus Salas, and others. The Hispanic Radio Conference, March 13-14 in Miami, is the only conference dedicated solely to Hispanic radio. Now in its ninth year, the conference attracts the industry’s key leadership in management, sales, and programming, whose combined audience reaches approximately 95 percent of the 59+ million Hispanics in this country.